Since 2001, Calendar Updates has been proud to provide you with quality schedules for your Microsoft Outlook Calendar. We are a small, family owned and operated company. For the first four years we provided all schedules free of charge with advertisements placed in the body of each calendar event. Unfortunately, our operating costs exceeded our revenue and we lost money on our business every month. With no money for paychecks, those of us who devoted ourselves to our business were limited to working around our own day jobs to provide our service. Our options to continue providing this service were limited. We could either make our ads more aggressive (pop-up ads, etc), or we could remove the ads and begin charging a small fee for the schedules. In September 2005, we made the decision to remove the ads from our schedules and to charge a small fee for each schedule. Most schedules are now available for a very reasonable cost of less than five dollars each. 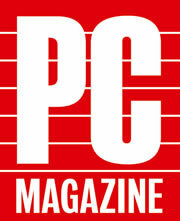 Our TV Listings for Microsoft Outlook were featured in PC Magazine. 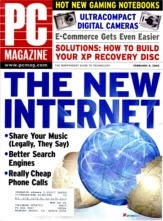 The screen shots shown are from 2003. We have upgraded our website since this episode originally aired.